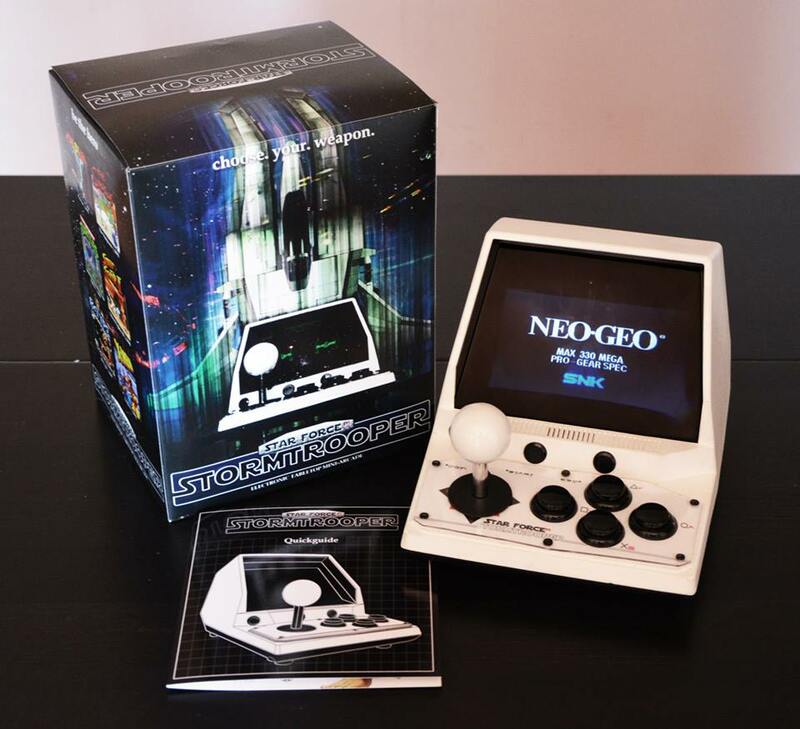 I was tired of playing emulated games on the PC with a inappropriate controller, and I was disappointed with options like the NeoGeoX. 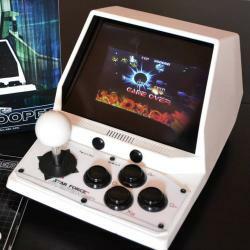 If you get an arcade mod bartop, they're usually 9inch screen models, expensive, pretty bulky and not portable at all, and a full-sized arcade is just not an option for me. Those iCade's are crap, and handhelds don't quite deliver the same experience. 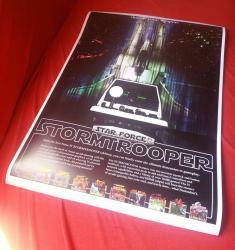 So, I bought a 1984 GrandStand Star Force game, and I stared at it for a month before I decided to go ahead and build my own mini-arcade. I bought an Arcade Kit from hdhardsoft.de, added fullsized arcade controls to it, and it worked! Very well actually. To finish it, I made a video, a poster, a box and a quickguide for good measure and put it onto Facebook and people seem to love it. Originally I was going to make an how-to instructable, but it would mean sacrificing perfectly good tabletop machines for the shell, and that seems such a shame. So, I thought maybe I can build it into something that people could buy via Kickstarter. The first focus is a solid device, with off-the-shelf components, built into a customizable shell, with full microswitch arcade feedback, good video and stereo sound. 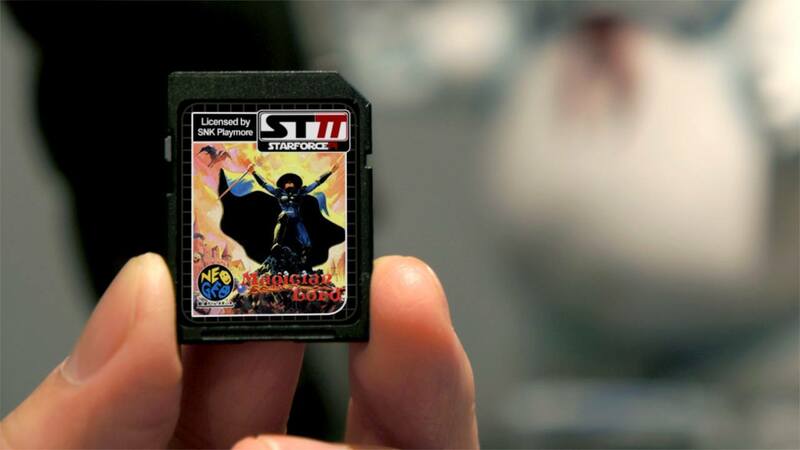 The second focus will be to regain the cartridge culture, by approaching developers (NV-DEV:TEAM specifically) and asking if they'd like to bring their game to the Star Force Pi in SD-card form. Of course, this will include cases, manuals, decals etc, in much the same spirit of the TurboGrafX HuCard. 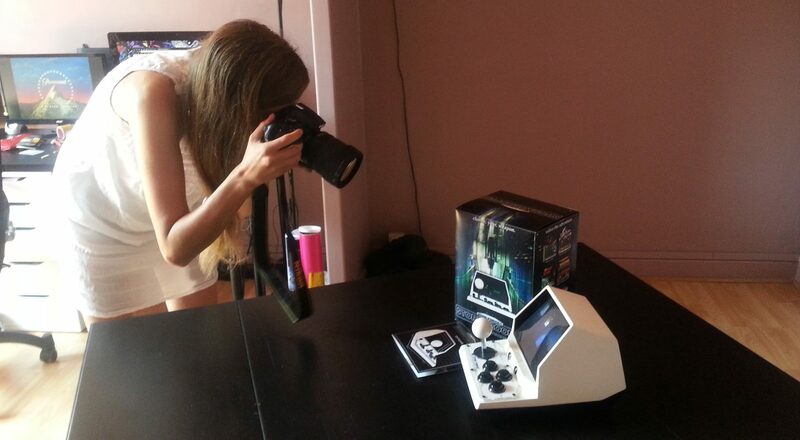 The third focus would be on connecting two Star Force Pi's together and play two player games on two devices. Street Fighter II. Head-to-Head. Awesome. Anything it is able to do on the current Raspberry Pi really, we just add the peripherals, put it into an attractive package and at the very least allow you to make your own magic. Actually, that's a bit simplistic, we'll be discussing with the engineer and the creator of PiPlay for a Star Force Pi specific emulator package, who's already providing support for Hartmut's arcade kits. The nice thing is that software is entirely on the SDcard, which means developers control their own content and upgrades, as do you. We'd just be supplying templates for the casing and artwork. Additionally, there's HDMI-out and USB-in on there as well, so for multiplayer, or ScummVM games that need a larger screen sometimes, you can connect it to a monitor and use any USB controller/mouse/keyboard on it. I think a fully functional Star Force Pi with power adapter, in packaging, pretty box and fun manual should not exceed 199 euro. It's a psychological pricepoint, anything beyond that would just feel like a rip-off. I spent between 250 - 300 euro on the build, but this can be brought down with a production series. So that's why I'm here! I'm a guy that grew up with Sega, wishing he had a NeoGeo, and am now at the age I can afford one, but can't have 12 systems hooked up and hijack the TV or PC everytime I want a quick game of Splatterhouse! With the Star Force Pi I have my own little desk unit to game directly: no fuss. What do you think? Would you want one? What could we do better? What should I look out for and take care off? I'm just a guy with a screwdriver that wanted to play Metal Slug with proper arcade controls and was small enough to carry around - how can I best share this with other retrogamers? Edited by StarForcePilot, Sat Sep 26, 2015 11:12 AM. This is a slick little idea. I'm not terribly interested in emulation in general, but even so, it's a nice little package, that looks good on the shelf or being passed around like I remember doing with the old VFD games. It's priced about where I'd expect a device like this to be, the hardware looks great. Where ever did you find tiny/shallow microswitched buttons like that? Maybe I'm blind, but you don't specifically mention batteries. I assume it has them since it's portable and I don't see cords--what's the life like? I'd imagine quite a bit better than those old tabletop arcades. It's a weird thought, but if you're making it as an heirloom-grade gaming device for the ages (it looks the part) you might want to consider the option of easily replacable vs rechargable batteries, or having it use either/or (14500's are the same physical size as AA's but naturally differ in voltage, for example). Actually, just looking at this project has me wanting to pull out my old astro thunder and give it a go. Edited by Reaperman, Sat Sep 26, 2015 1:21 PM. Cool project and it looks great, but 4:3 games in 16:9 look horrible. Thanks for your feedback, Reaperman. The device is built on the initial idea of easy emulation of classic consoles and arcades, but I really hope it may be extended beyond this. If NV:DEV would commit their game to an SD card they could secure themselves, configured to run optimally on the Raspberry Pi 2 hardware, and we'd simply supply case templates etc., we'd have original work on a portable device with arcade feedback. But that's a very far dream; first the focus will be on feasability of hardware and injection molding options. This is where the switch to 4:3 screen could potentially be made (@madman), but the screen can be a costly component and 4:3 is not a popular ratio anymore. But, we'll be hunting for them! As for the batteries, it's running a 3000mAh rechargeable battery giving around 5 hours continuous gameplay. The battery can easily be disconnected and replaced. In fact, that's core to this device; having replaceable components to make it modular and customizable. The whole thing will be 'click or screw' fixed, so you can swap out the old battery for a new one, upgrade you Raspberry Pi, change buttons, etc. 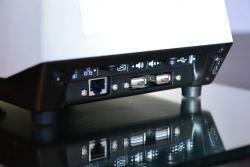 Only the shell format itself, the arcade interface and RasPi shield would stay the same. These microswitch buttons are usually used as start/two-player buttons, but their 24mm size is a way better fit for this device. Edited by StarForcePilot, Sat Sep 26, 2015 1:49 PM. Wow, I would have guessed much smaller than 24mm from the pics. That size is commonly used for neo geo controller upgrades--pretty legit hardware for this size and pricepoint. Again, this isn't really my thing--but it's 'almost' my thing, and is really, really neat. It's neat enough that it's making me start to forget that I'm a 'real hardware' snob. edit: I don't know how, but I totally missed that there was a video in the first post. Nice. I must have thought it was just a picture. I can see screen's aspect ratio being a bit of a deal-breaker around these parts, but wow--what a neat little thing. Edited by Reaperman, Sat Sep 26, 2015 3:08 PM. This looks really awesome. Very well made, and it sounds like you're going through the right steps to make it as easy to build as possible. Well done! I don't know.. I think it's a neat idea, but as I'm used to Play my arcade games with a big arcade stick on my lap with full japanese arcade parts, this would be a serious step down from that. I agree with the aspect Ratio. That has to be kept original. 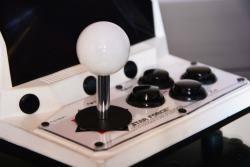 I would potentially be interested if you had full size parts and a platform where I can actually rest my left Hand on while playing, otherwise I personally don't really see the Point in having an arcade stick in the first place. It does look great and the Price Point seems right. ... oh, also, nice picture. Glad you guys like it! Some very helpful points, especially on keeping 4:3 aspect ratio, I'll have to discuss this with the engineer and see if we can switch out the screen or make it so that it would be easily upgradeable. 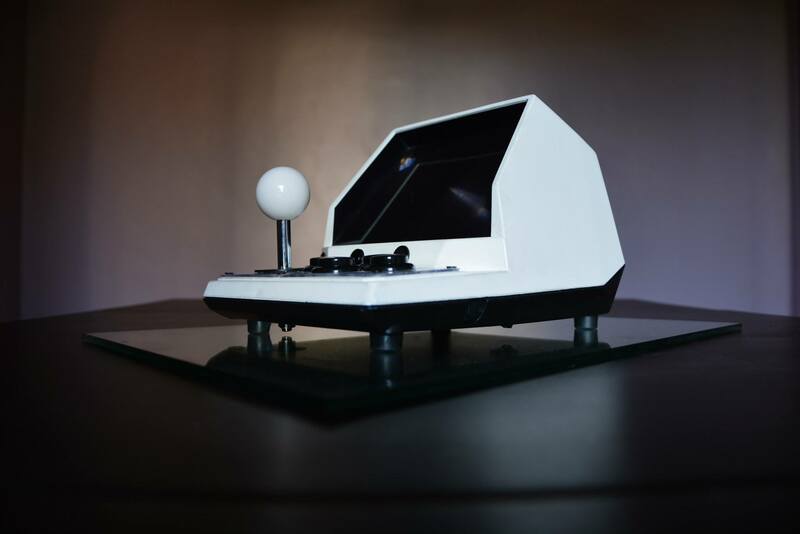 By no means will this replace an actual arcade system or real consoles, those are the gold-standard, and this little device is not going to convert a purist. But that's okey, it's rather a sincere approximation to arcade & console gaming for a manageable price. Hopefully this will outweigh some of the limitations. Nice machine but too expensive for me. Fair point, but 199 euro is the upper threshold price point. This means that if it's more expensive than 199 euro per unit, I would abandon making a production line of the device and perhaps develop kits instead. Ideally, I'm striving for a lower price point, but I think a cut-off price is necessary to keep myself from overextending the project. Edited by StarForcePilot, Sat Sep 26, 2015 4:51 PM. Just finished making the 3D model for production estimation. Should be good! Edited by StarForcePilot, Wed Sep 30, 2015 5:50 PM. I would probably buy this! 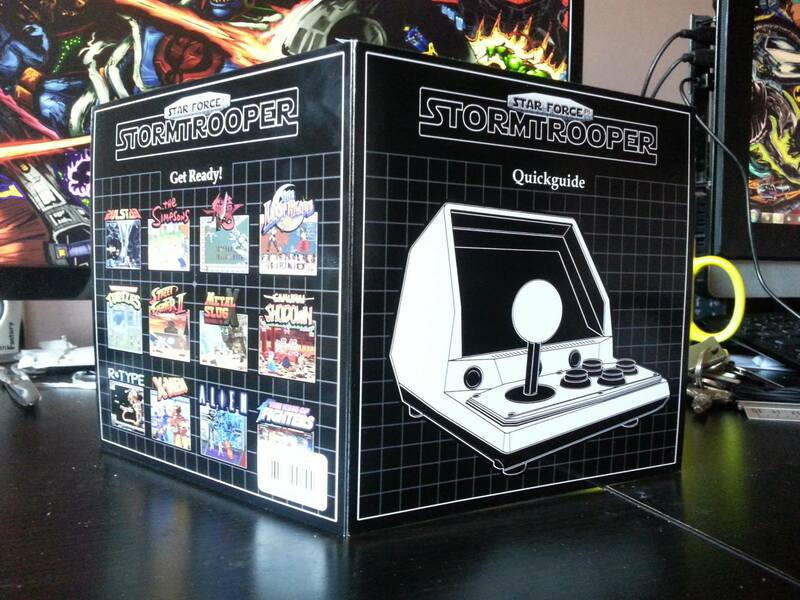 I love the old Coleco Tabletops and this is just an awesome evolution! This is certainly a nice piece of hardware. If the casing had some features to help bolt it down to a table, you could actually install this in bars, certain restaurants, or other public places, and let people play to entertain themselves (or let their kids play while they go shopping). 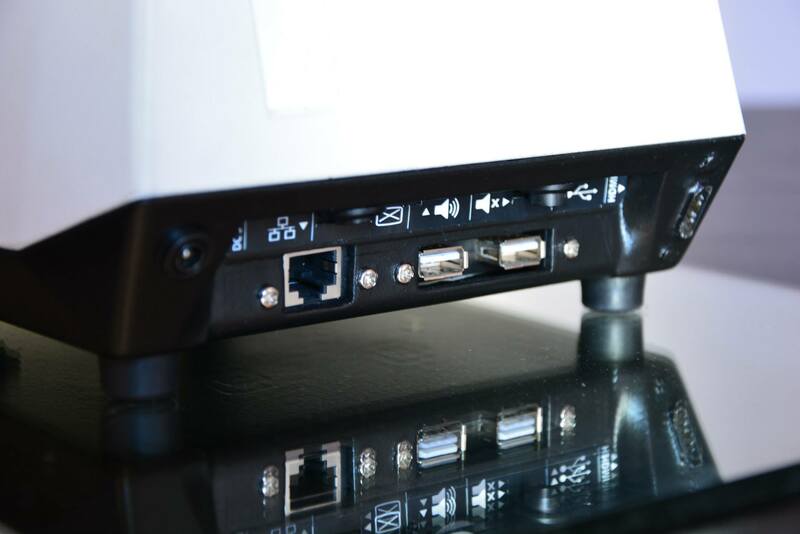 However, for this kind of installation, you'd need to replace the rechargeable battery with a standard power supply unit, so that it can stay plugged into a power outlet without any risk of internal damage (like it can happen when you leave a rechargeable battery plugged in for too long). And while we're on the subject of batteries, you should investigate just how much people would want a rechargeable battery in there. It's definately portable, but it's not a pocket device, and if I were to buy it, I would prefer not to worry about the rechargeable battery wearing out. In other words, I wouldn't mind having the unit plugged into an outlet whenever I play with it, since it's easy to find a table with a power outlet nearby. The power should be either wall or battery. With the option to leave the battery out so it won't needlessly keep charging it as that can ruin batteries also. I would love to have one. AC power all the way. I would be in for one, especially if you could do one with dual joysticks. This would be perfect for my desk at work. Wow! 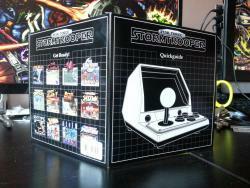 I would love one of these especially if I could emulate a tomy caveman or tandy astro command. 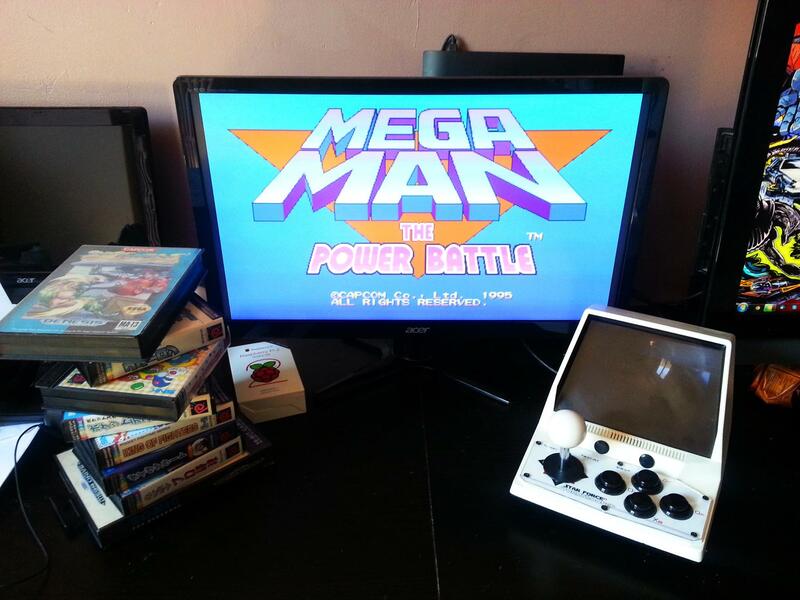 Just imagine a retropie menu of all the game & watch tabletops and others.. Cheers guys. The device is pretty small, so I don't think it would be appropriate for bars and the like, though I'd like to see a big Hell's Angel behind it. But I see no reason why it couldn't be bolted to a surface through the feet, it's something I would do when we start displaying the units at expos I think. On the batteriy: currently it has an off-the-shelf 3000mAh battery with a recharge circuit that cuts out the power input when the battery is full. Nevertheless, on the prototype I added a physical switch on the bottom to disconnect the battery completely when switched on, and allow only adapter input to power the device. I've sent this off to the engineer and he would develop a little more sophistication to the cut-out protocol. But the battery is protected against overcharging anyway, so that's not going to be a problem. What we would potentially do is offer the device in various configurations: a barebone shell, shell + arcade controls, shell + controls + screen, etc. Also, the option would always be to open up the device and take out the battery. The focus is a 'click or screw' modular design, in which you can remove, replace or upgrade internal parts (take out the battery, change buttons, custom decal the shell, even rotate the screen to tate mode (vertical)). As for dual joysticks, there is a spatial limitation to the actual device so we wouldn't be able to add it, but there are two USB ports available so you can just add a controller. And I haven't really thought about the possibility to emulate game & watch tabletop actually, it would be interesting, though much like vector graphic emulation on a normal raster screen, the emulation would be quite unconvincing. My personal drive is to bring actual full-sized arcade games to the system, with the NeoGeo standing model in terms of interface and games, but it should be pretty flexible. Thanks for the feedback, it's very constructive. Edited by StarForcePilot, Sat Oct 3, 2015 2:14 AM. I'll keep you updated on the progress, and I'll prepare a presskit & website update after we've confirmed the viability of the project as Kickstarter appropriate. Edited by StarForcePilot, Sun Oct 4, 2015 12:31 PM. "Dreaming BIG: brace yourselves, this is a long post. Our primary focus with the STARFORCE PI will be to bring you an attractive, modular design, with good arcade feedback and solid internals. Play it wherever you want, and access the multiplayer options of classic arcade games. Rather than developing our own emulator suite, we'd support existing ones to bring you a great experience, tailor-made for the SFP and easy to use. It seems attainable, so we're doing everything we can to make it a reality! But beyond bringing you a glorified emulator system (and we are going for Glory here), we're hoping to extend the platform into licensed and original arcade games. One could argue that the confounding nature of having every SEGA game ever made on a cheap 2gb USB stick practically means that we attribute little value to the games, and the overwhelming choice keeps us from exploring them. As those impressive rows of cartridge cases with cool artwork have been replaced with a single, daunting list of titles, some of us are left with a nostalgic longing to an attractive, simple physical medium. So besides preparing custom SD card trays, stickers, inlays, booklets, decals for existing arcade games that have been forgotten by time and publishers (see mockup below), we'd like to focus our stretchgoals to SOFTWARE! Specifically, original 16-bit style games or licensed older games adapted for the SFP. And because the RaspberryPi runs entirely off an SD card, a developer would be able to determine their own content and protection of their SFP Game Card, and even publish it themselves. It wouldn't be exclusive to this console, but if it wants our 'Nintendo Seal of Quality' sticker on there, it would have to be a cool game in a nice package at a fair price - just like the STARFORCE PI." Edited by StarForcePilot, Mon Oct 5, 2015 5:16 PM. Alright, we've got a handle on construction cost now, and it is damn expensive to build something from the ground up! I mean, I knew it wasn't going to be cheap, but dayamn. Nevertheless, I've made a preliminary layout on how to finance the campaign, and keep this 199 euro cap in in place. But this means that preliminary research & development is done, and it's looking good! We have a few things more to discuss, but I think we will be able to bring our development plan and project platform to KickStarter pretty soon. In the meantime; if you have arcade insights or feedback, we'd really appreciate it. We're bringing some very cool extra features to the system, so it's time to put your Xmas money aside to pledge for some Ultimate Arcade Gaming. Edited by StarForcePilot, Sat Oct 10, 2015 5:45 PM. Great to see emulation becoming more and more prevalent and important! Yeah, because that's exactly what it needs. Emulation has largely killed the proper porting of "classics" to modern hardware. It's also taken over what's left of our arcades with its sub-standard experiences. Emulation started as a handy/free/illegal way for the common man to get a taste of many games at once, and is now about the only way to experience them. Worse, there's a whole generation that actually believes these emulated games play exactly as they did. And why wouldn't they believe it?--this garbage now comes officially licensed by the original manufacturer and is sold by the biggest gaming companies in the world. You'd hope somebody involved would have a standard or two, but I have come to suspect that as often as not, those involved have never played the real deal. What emulation does still provide is a 'close enough' for the average person with almost no effort at all. However its never really billed as an imperfect solution, and that's the heart of my problem with it. Edit: Or is this just another case of my sarcasm meter being broken? I honestly have trouble when it comes to your many, many emulation posts. Edited by Reaperman, Sun Oct 11, 2015 10:38 AM.